Successful implementation of agri export zones of alphonso mango, kesar mango, onion, pomegranate, banana & mandarins. Nodal agency for implementation of Asian Development Bank & IFAD funded projects in Maharashtra. Successfully organized farmers’ foreign study tour to Israel & Europe. 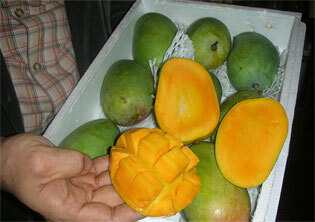 Mango is a important fruit commercially grown in Maharashtra. 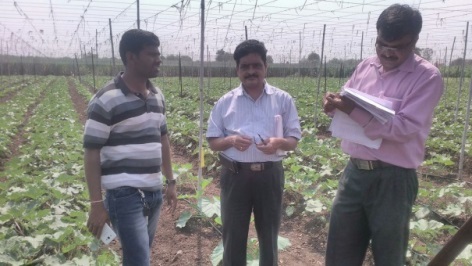 The main strength of the Maharashtra state lies in the cultivation of the popular exportable varieties e.g. Alphonso, Kesar, etc., with substantial production and significant share in mango export. 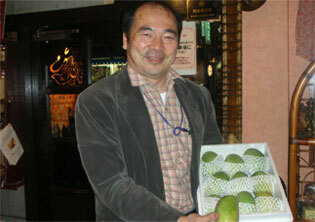 MSAMB has leading role in export of mangoes to various countries across the globe. MSAMB has conducted the trials for exporting mangoes by CA containers to far distant markets with the help of APEDA, New Delhi and exported two containers of Alphonso and Kesar mangoes to UK and one container to Singapore in the year 1998. One more CA container of Kesar was exported successfully in the year 2000. MSAMB has exported Kesar mangoes to Hongkong, which is further exported to china. 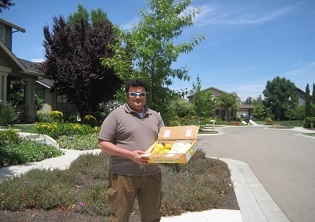 This is new opportunity to Kesar mango growers in the form of new market. In the last mango season 2018 about 1881 Mts of mangoes have been processed for the purpose of exports to various destinations. Irradiation Facility, Vashi, Navi Mumbai – from this facility 613.62 Mts mangoes were exported to USA and about 18.54 Mt to Australia in total 632.51 Mts mangoes were exported. 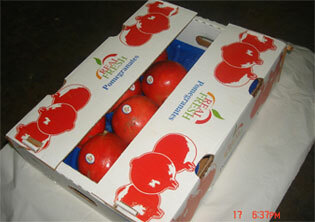 Also in this season 0.352 Mts pomegranates have been exported to USA. Vegetable processing facility, Vashi , Navi Mumbai – from this facility 245.40 Mts to European union, 3.26 Mts to Russia, 1.00 Mts to Mauritius, and 153.52 Mt mangoes to USA (process) and 16.61 Mts Mangoes to Australia (process) were processed thus in total 419.79 Mts mangoes were processed. VHT Facility, Vashi, Navi Mumbai – from this facility 22.66 Mts mangoes were exported to EU, 24.21 Mts to Japan , 29.79 Mts to New Zealand , and 49.52 Mt to South Korea thus in total 126.18 Mts mangoes were exported. Mango export facility center, Ratnagiri, Dist- Ratnagiri - from this facility 1.20 Mts mangoes were exported to EU and about 4.25 Mt to Russia , 2.78 Mts for USA process and 30.90 Mts for domestic purpose processing thus in total 39.13 Mts mangoes were processed. Mango export facility center, Jamsande , Dist- Sindhudurg - from this facility 192 mts mango pulp and 35.67 Mts of mangoes for domestic market purpose thus all total 227.67 Mts mangoes were processed. Grape and Pomegranates export facility center, Baramati Dist Pune - from this facility 218.79 Mts mangoes were exported to EU and 217.64 Mts mangoes were processed for USA thus all total 436.43 Mts mangoes were processed. MSAMB has promoted the partnership organization of primary co-operative societies named “Mahamango” for export promotion of mangoes. 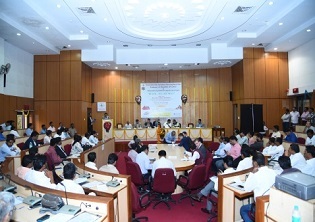 The MSAMB promoted an organisation called MAHAGRAPES to boost the export of grapes. MAHAGRAPES is regularly exporting around 100 -120 containers to Europe and Middle East. They could establish their brand in the European markets. MSAMB also helped farmers co-operative societies to establish their own pre-cooling and cold storage units, by providing them technology and guidance. From the year 2003 the packhouses which are being used for Grape export are recognized by APEDA. MSAMB’s export facility center, Dindori Dist- Nasik has played important role in export of grapes to Europe since last three years. Also there lies a tremendous potential for export of grapes and pomegranates from Atpadi export facility center of MSAMB. Pomegranate is another important fruit grown in Maharashtra. Its usage and medicinal properties made this fruit more important and gradually increasing demand in the international markets like Europe & USA. MSAMB has taken a lead and successfully exported the pomegranate containers to UAE. Initally the demand was only in gulf countries, however MSAMB realized the need of the export oriented infrastructure for pomegranates and with the help of APEDA, MSAMB has established the export facility centers for pomegranates at Baramati, Indapur,Atpadi, Latur, Kalwan and Chandwad. About 1.85 Mts pomegranates exported from irradiation facility of MSAMB, there lies a tremendous potential for export of pomegranates to USA. The Nagpur mandarin is a loose Jacket orange and to ensure that it reaches distant markets with least post-harvest losses during shipping, it must be devoid of pre-harvest infection by fungal organisms and skin attachments must be tight for prolonged shelf life. The Nagpur mandarin has unique features easily separable skin and segments from each other, comparatively low seed content and low acids. An export of mandarins from India is not a common phenomenon. In the history for the first time one trial container of Nagpur Mandarins was sent to UAE in the year 2002, and it reached in very good condition. 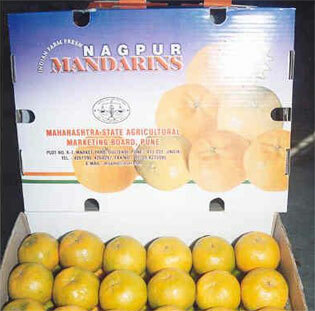 MSAMB has exported one container of Nagpur mandarins to Holland in the year 2005 and achieved good results. MSAMB has developed a export facility centers at Karnja (Gh) Dist- Wardha and Varud Dist- Amaravati.Nagpur Mandarins exported to Srilanka and Gulf countries. In spite of the huge production of banana in the state of Maharashtra, the export is negligible. MSAMB is the pioneer of export of banana from Maharashtra state. For the first time one 40 feet container was exported in the year 2002 to UAE and the results are very encouraging. MSAMB has exported the banana 16 MT in February 2005 to Dubai through 40' Refer container from Mahabanana, Jalgaon. MSAMB has developed export facility centers for Banana at Raver, Dist. Jalgaon , Basmatnagar, Dist.Hingoli and Indapur dist. Pune (under progress) which includes mechanical handling system, pre-cooling, cold storage and ripening chamber. MSAMB has exported lemons and sweet lime through mix container to Dubai. Through this trial export we realized that there is a better scope of export of lemon and sweetlime in Gulf countries. 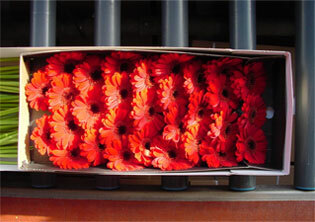 MSAMB has exported Gerbera and Carnation flowers through 5 air consignments to Singapore. This export is the lighthouse for export of flowers from Maharashtra. There is much more scope for Roses, Gerbera and Carnation flowers from Maharashtra. 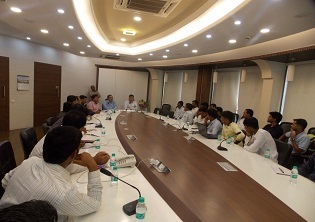 MSAMB has developed flower export facility centers at Talegaon ,Dist. Pune, Satara, and Dindori Dist. Nasik for export of flowers. MSAMB always focus on promotion of various agricultural commodities grown in the state, domestically and internationally. MSAMB used to participate in the export promotional activities worldwide. Participation in International exhibition – England, Germany, China , Japan, Dubai etc. Trail exports - England, Germany , Japan , America, Singapore, Baharin , Dubai etc. 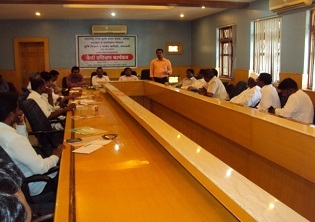 For promoting export of agricultural produce from Maharashtra a workshop for all the stake holders viz. NPPO, APEDA, Agriculture Depatment, Exporter, Farmers group, co op federation, Processors etc. 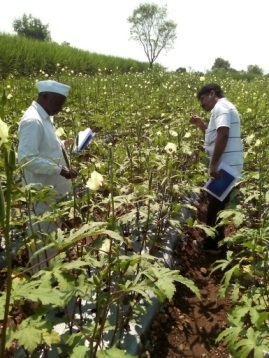 with the focus crops as Mango, Pomegranate, Onion, Banana and Vegetables is planned in Maharashtra. 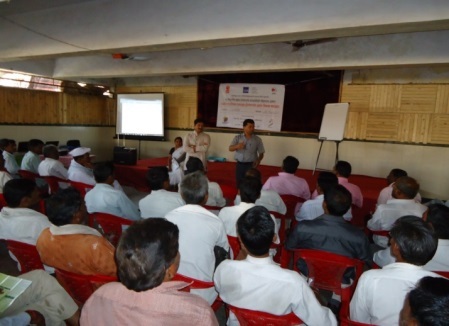 In the current year following workshops have been conducted in Maharashtra. For promoting mango export from Konkan area a Buyer seller meet was organised at Ratnagiri on dtd.27 February 2018. The export facility at Ratnagiri has been certified by APEDA. A workshop on Banana export has been organised under the chairmanship of Hon.Collector, Akola on dtd.27 April 2017 on the same day a container has been exported to Iran. 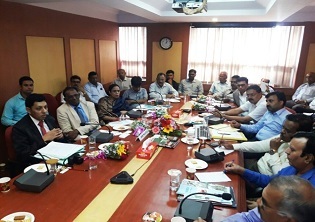 A workshop on Banana export has been organised under the chairmanship of Hon.Collector, Amravati on dtd.27 April 2018.